When budgeting for a PC Gaming console setup, how much do you allocate a new Gaming Chair? Probably it might not be reach up to the graphic card amount which you spent. In fact the overall experience of PC gaming integral with how much years experience. 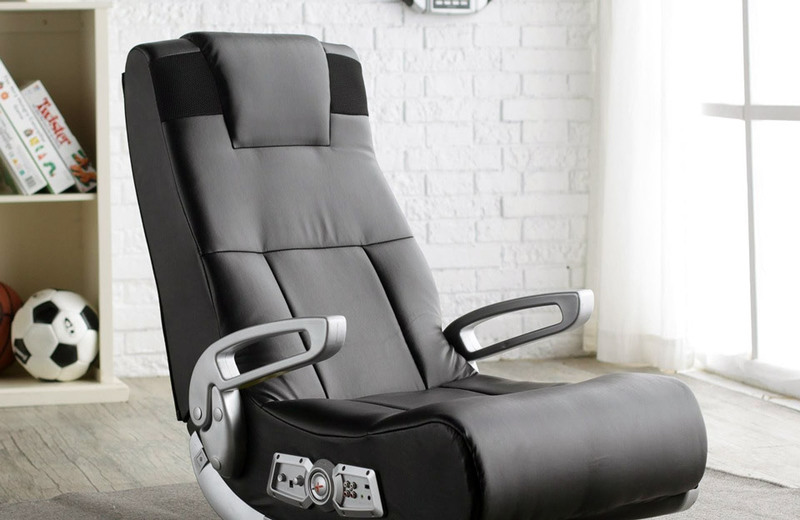 Best gaming experience will come along with at most comfort levels of the chair. Irrespective of age criteria, any individual gamer should go with certain sort of chairs which will give better game experience and best at comfort levels as well. Top priority based PC Gaming Chair at the best of breed with great ergonomics and great value. Comfort, style and design are core factors considered to list of the leading models. Finding the best and comfortable PC Game Chair by considering various factors will give best way of experience while playing games or working by sitting long hours. The DXRacer is known for budget friendly PC Gaming Chairs and their chairs are designed for gamers with a smaller frame. It doesn’t matter if you want a more relaxed sitting position or more upright one this could be the ideal gaming chair for everyone who loves gaming all the time. Followings are are feature list of DX Racer PC Gaming Chair. The Aeron set a new standard with this model Gamer Chair; this would be the best PC Gaming Chairs. Up to the mark ergonomics and comfort levels set well. It set new bar for pricing with this new model. The design is more popular in US. Though the model is more popular, it set new parameters for better health always good to make a move periodically. Sitting for long hours is strictly avoidable. Woven mesh with base foam and padding gives rich elegant look with highly customizable. This is the next generation multiple usage chairs designed by the Aeron originally. Independently adjustable backrest gives more comfort levels. Colour, design and adjustable control system allows gamers to great experience. Lumbar support at glance added advantage. Herman Miller Embody economically reasonable cost tagged and also one of the top most preferred PC Game Chair in US. This is another affordable option than any other models compare with various aspects. Ergonomic design, style and comfort levels are best in this model. Easy adjustable push back and backrest adjustment controlling system arranged well in this model. Special foam padding allows breathable air flow. Even in long time sitting it prevents bottom padding getting hot. Adjustable handles are great option to adjust at certain levels while playing or doing other works. This is designed exclusively for the gamers and people who sit for long time. Customizable controlling system allows gamers to get into the complete control management easily while playing games or working. Wider seat pan, high level backrest, leather upholstery and comfortable headrest. Height wise Eurotech Ergohuman is the best for taller gamers. Decent back support and ergonomic design are really amazing. IKEA is famous for best and affordable price tags. Various models are best at price range. IKEA Markus one of such high end model with number of controlling systems. It’s price also economically affordable to everyone. Height adjustment system and backrest adjustment system are really cool in this model. Armrest width and height are fixed and no option to adjust armrest in this model. Leather bottom seat gives great comfort to the gamers. Instead of going through these models, there are number of models available at best price ranges. Gamers can choose best PC Gaming Chair depends on his/her comfortable levels. While PC gaming setup moment, most of the gamers use to give least priority to the PC Game Chair selection. Comfortable level of seating should have a high priority when a gamer is spending a lot of time in front of PC. Choosing a perfect and best comfortable levels chair is the best counter for pains and aches cause due to long sitting. Even best PC Gaming Chairs designed ergonomically, it is still a good practice to make a bit of move periodically. Considering right factors will enhance level of choosing right PC Game Chair. You can expect long-lasting service at least for few years. The key element to set comfortable Gaming Chair involves various factors to consider before go through. The most important and the common factor which decides the quality and standard of Gaming Chair is ergonomic design. 3 important features to consider before buying best PC Gaming Chairs. Height Adjustment: Standard functioning of chair height adjustments according to the comfort levels. Armrest Adjustment: Fixed armrest height will not give proper comfort levels. There should be certain controlling features for armrest adjustment. Tension Control: Flexibility in adjusting tension at loose mode or stiffen mode are also important. This will give best comfort to lean back. Backrest Lock: In addition to chair tension control, sometimes best PC Gaming Chair allows you to control backrest locking at perfect angle. Most of the quality Gaming Chairs manufacture with the leather or mesh. Wrong choice of material will cause to uncomfortable levels at longer gaming sessions. Sometimes Gamers may experience sweating and cold reptilian like state. Experimentally proven mesh material is more comfortable and breathable. Though say looks are not important, our choice will finalise at best and stylish look. Style and look doesn’t to be aesthetic master piece, but style plays significant role while choosing Gaming PC Chair. If you are spending much time with playing games or else working, then it is good to check on various aspects like control systems, backrest controlling options and also armrest adjustments, etc. Flexible and comfortable PC Gaming Chair will reduce the risk factors like shoulder pain, back pain, wrist pain and neck pain. When sitting for long time will effect majorly on mentioned body parts. To avoid stress and pain on wrist, neck, shoulder or low back, it is good to choose right Gaming Chair with great comfort levels.